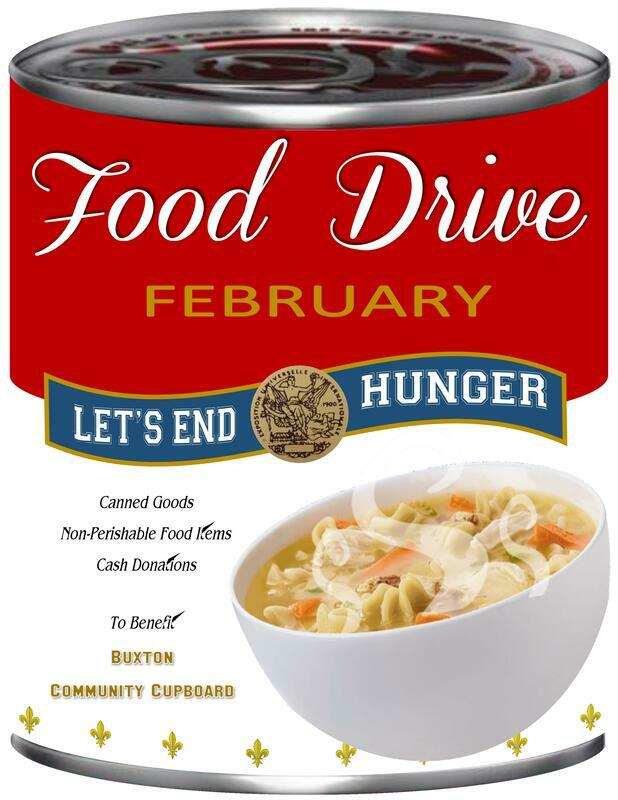 The February Mission will be a food drive to benefit the Buxton Community Cupboard and will “Kick Off” with the Annual “Souper” Bowl Food Drive on Sunday, February 3rd. As we plan our menus for the BIG GAME let's think of those who aren't able to put together a special spread or even put a meal on the table. Let's help those people by donating canned food items and non-perishable food items along with cash donations. The items collected will help those who are falling on hard times in the community. The Buxton Community Cupboard was started many years ago by, and was located in, the Buxton Centre Baptist Church. It moved a couple times, and is now located in the little white house behind the parsonage of that church on the corner of Groveville and Long Plains Rd. It is for Buxton residents only and we serve 80-150 residents per month depending on time of year. We used to get a lot of food from food rescue and distribution centers but that has dramatically changed. 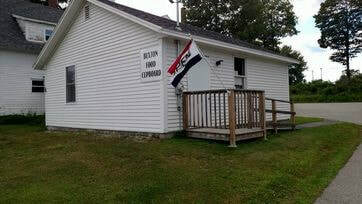 We now rely on donations of food from the good citizens of Buxton, Food Drives at businesses and schools and cash which we prudently spend shopping sales. Many of the original people who started the Cupboard have passed away or retired. We are always looking for new people to help. Contact us if you would like to help volunteer! Hours of Operation: Wednesday mornings 9:30 am to 10:30 am and Friday mornings 9:30 am to 10:30 am. If you would like more information about their serves or would like to volunteer please call (207) 648-4403. Visit The Buxton Community Cupboard on facebook.